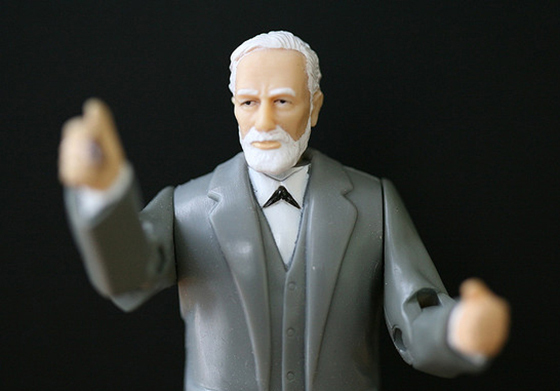 You don’t have to be Freud to understand how your prospects think. Image by Alan Turkus via Flickr. Smart marketers know that conversion rate optimization is important. We run A/B tests to test our assumptions, but we’re sometimes left to wonder what it is about the winning variation that just makes it convert better. It doesn’t have to be a mystery. The beauty of CRO is that it’s grounded in human psychology. Yep, the stuff you learned about in school. 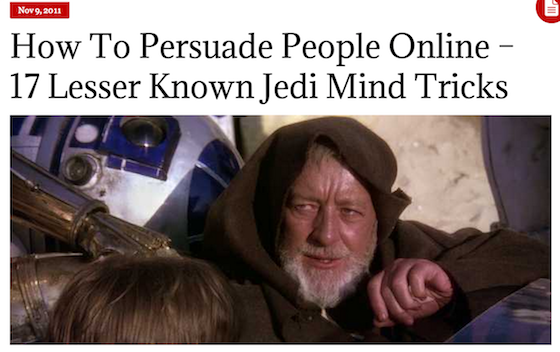 Understanding peoples’ motivations and behavior – the science of how to persuade – helps you create landing pages that resonate with prospects. 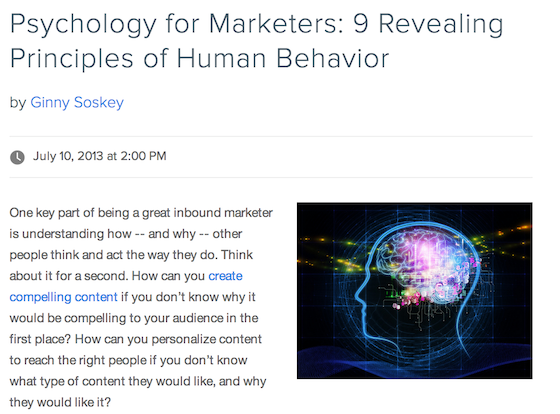 More importantly, understanding psychology helps you create marketing experiences that delight and convert. 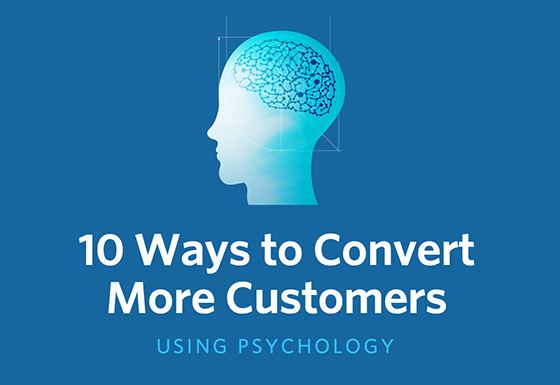 Here are 10 conversion psychology resources that will help you understand your customers – and make you a better marketer in the process. Gregory Ciotti‘s ebook is the most thorough introduction to influencing people online you’ll ever find. It’ll teach you patterns of human behavior and how to apply these insights to your marketing to build a loyal customer base. This isn’t a step-by-step guide on how to implement the right techniques for your business. The subject matter is quite theoretical – it’s up to you to take the high-level insight and create a plan that best supports your business model. Personalization helps prospects convert and makes them more likely to become loyal repeat customers. Many people value their time more than money – test emphasizing time saved (instead of money) and you could see a lift in conversions. This blog post by Peep Laja will teach you how to leverage the power of influence to help you convert your prospects. Rather than jumping into widely known persuasion principles, it breaks down lesser-known techniques like how to be confident, the art of swearing and getting people to agree with you before you ask for a commitment. The principles aren’t explicitly about conversion rate optimization, but they equip you with some interesting psychological principles that you can use to your advantage when framing your offers. Being confident and talking fast makes you more persuasive – and so can swearing, if you do it tactfully. Balancing your argument by acknowledging opposing points of view can help make your argument more persuasive. This blog post by Akshay Nanavati will walk you through 15 ready-to-implement marketing tactics to strengthen your conversion rate optimization strategy: from getting attention with controversy to building anticipation. Each tip comes with an actionable takeaway and a first step for getting started. The strength of this blog post is in its bite-sized snippets. If you’re looking for in-depth analysis, you may want to pick up a book or two (or three). Human behavior is driven by the need to maximize pleasure and minimize pain. Understand your prospect and what they want, and you’ll be able to leverage these triggers in your marketing. Our rational minds are always searching for meaning and context – people are more willing to take action if you give them a reason (even if that reason is arbitrary). 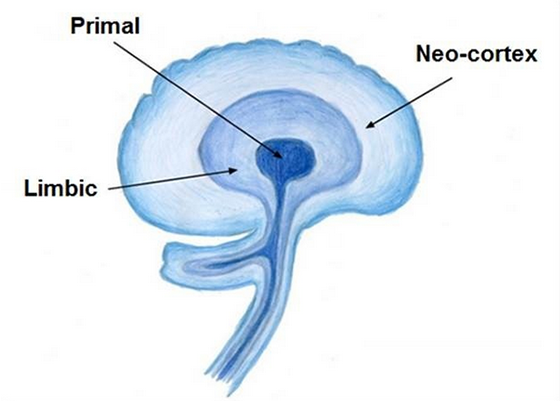 This blog post by Stephen Macdonald will give you a crash course on the brain and how it works. 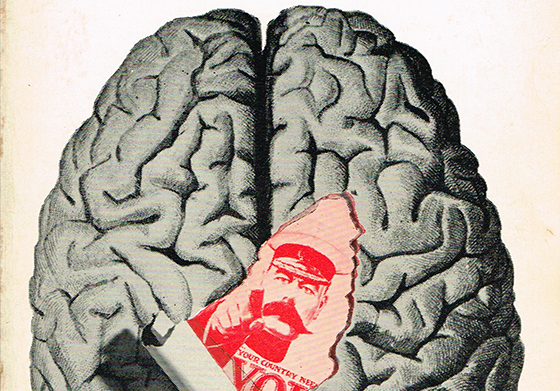 What is it about the human brain that makes persuasion and influence principles true? This is another high-level theory resource. You won’t get an actionable, ready-to-implement list of tactics, but it’ll give you the knowledge you need to think about your marketing campaigns in a new light. Brands that focus on listening to their visitors and understanding their motivations will be best positioned for success. #CRO requires more than a commitment to best practices. Customs change – but humans don’t. 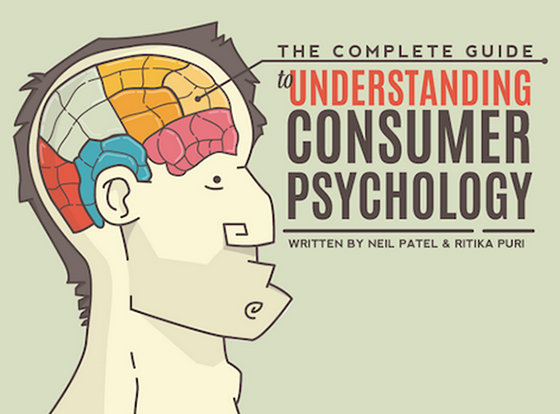 Neil Patel and I wrote this comprehensive 200-page guide to consumer psychology. You’ll get started by walking through the mind of today’s consumer, learning about color theory, the psychology of pricing and points of friction to avoid. The ebook is jam-packed with small tactics that lead to big results. If you’re looking for in-depth theory and case studies, this guide isn’t for you. It’s not an academic paper – it’s designed to be tactical with ready-to-implement marketing ideas. Today’s consumers do tons of research before making a purchase decision, so make sure you’re playing your part in informing them about your product or service. Different colors convey different meanings to different audiences. Understanding which colors resonate with your audience can help you run educated A/B tests. 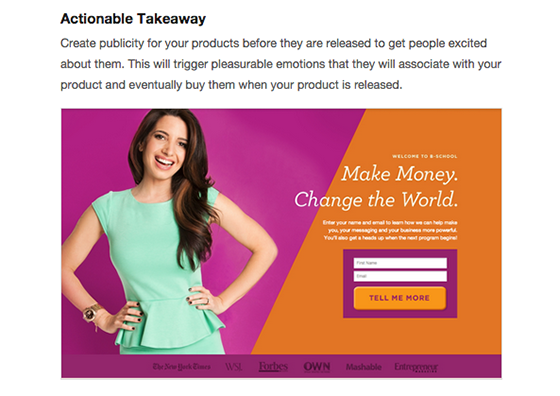 5 Psychological Principles of High Converting Websites (+ 20 Case Studies) by Nate Desmond for KISSmetrics. Though this blog post by Nate Desmond addresses the anatomy of high-converting websites, the psychological principles are worth testing on your campaign landing pages. The 20 high-impact case studies demonstrate how past experiences, simplicity and user-friendly design can contribute to a high conversion rate. To get the most out of this post, you’ll need a basic understanding of CRO and related terminology. Don’t expect guidance or an introductory overview. Be prepared to jump in. Based on past experiences, prospects have certain expectations about your landing page. Understanding and adapting to these expectations will help increase conversions. Your can make your pages more user-friendly (and conversion-friendly) by employing laws of behavioral psychology – but you still need to test. Prospects have expectations about your landing page. Understand them and adapt. 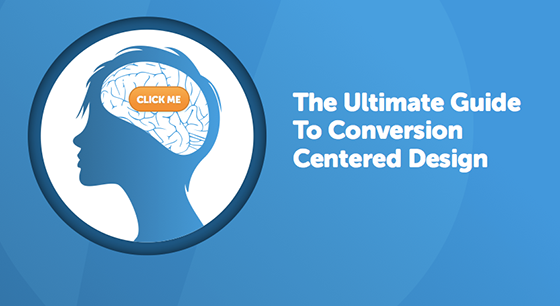 This Unbounce ebook by Oli Gardner is 68 pages of design-meets-marketing goodness. It outlines the building blocks of conversion centered design, a discipline which uses design and psychology to create experiences that guide prospects toward completing one desired action. 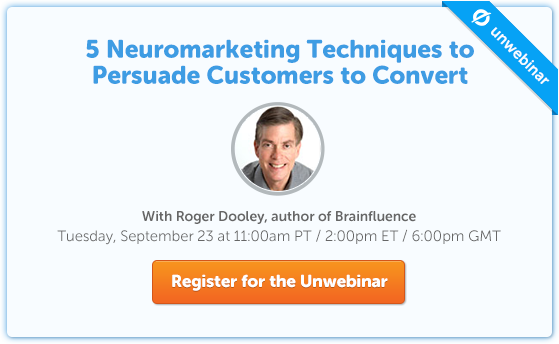 You’ll learn how to run meaningful A/B tests, how to guide your prospect’s eye and how to leverage psychological triggers to increase the motivation of your leads. Plus, you’ll get a set of ready-to-implement conversion-based templates. CliffsNotes or shortcuts – this guide is thorough in both theory and application. Be prepared to take notes and start thinking about how you can apply what you learn to your landing pages and marketing campaigns. Giving people a preview of what you’re selling (letting them “try before they buy”) can increase conversions and spark a sense of commitment that helps with retention. 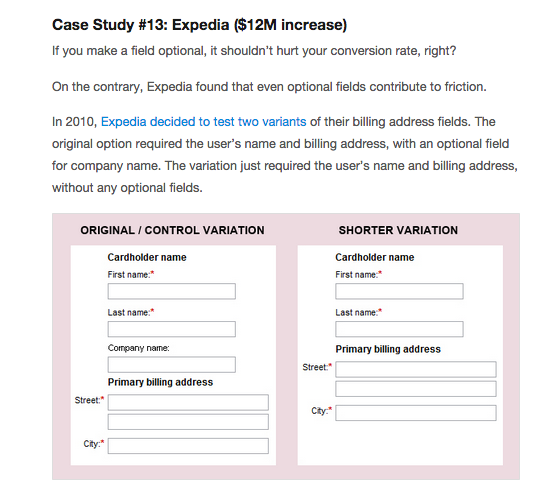 Simply asking your prospects why they didn’t convert via a survey can give you some of the best insight – and some of the best actionable ideas for your next A/B test. Talking to your prospects can give you some of the best actionable ideas for your next A/B test. 8. Are We In Control of Our Own Decisions? 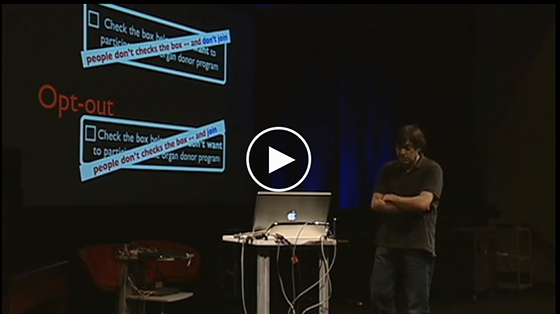 In this TED Talk, professor of psychology Dan Ariely shares some of his research findings that show how human decision making can be unpredictable. He provides an overview of behavioral economics and shows that our perception and biases sometimes dictate our financial decisions – and demonstrates how consumers can be guided toward making a certain choice. This talk is inspiring but it’s not explicitly about conversion rate optimization. It’s up to you to connect the concepts to your campaigns and use what you learn about human behavior to inspire game-changing A/B tests. Understanding that customers can make irrational and counterintuitive choices will open up your mind to questioning “best practices” and running A/B tests before you rely on assumptions. Price anchoring and comparing your product to other alternatives (whether different pricing plans or the product of a competitor) can increase the likelihood of conversion. Customers can make irrational decisions. Question “best practices” and always test for yourself. You won’t get real-world examples of each principle in practice, though they do provide hypothetical examples. Be likeable. If people like you, they’ll be more willing to do business with you. This blog post by Sean Ellis looks at each of Cialdini’s principles of persuasion to show how they can help you optimize your landing pages to generate significant conversion lifts. For each principle, multiple case studies show how other marketers have successfully leveraged persuasion to create landing pages that convert. Though these principles worked for the companies represented in the case studies, don’t assume they’ll work every time. You need to test each of the tips to see if they’ll resonate with your audience. Testimonials and other social proof are universally accepted as being effective, but they can backfire if they feel fake. Social proof is known to improve conversion rates – but it can backfire if it feels fake. These conversion-meets-psychology resources are packed with theory, case studies and tips for you to begin applying today. Though it may be tempting to start with the actionable tactics that you can start A/B testing immediately, remember to make time for some of the more theoretical articles that will give you the skills to think critically and creatively about your marketing campaigns. If you have a resource to add to this list, please share it in the comments section below. We’d love to hear from you!